Insurance stocks are rebounding strongly, as expected. They are likely to continue to rebound next week as well. 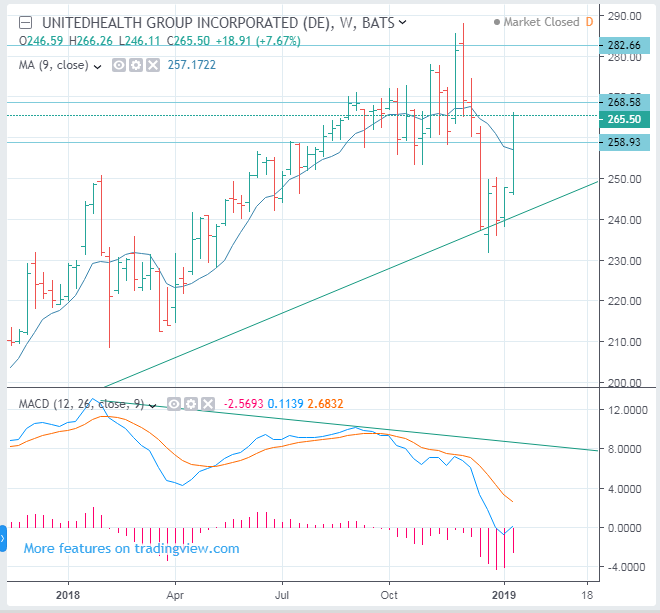 United health and Progressive look relatively strong. Leading Company is United Health (NYSE: UNH). The UNH stock price is likely to rebound to $ 282.66. Then, it is likely to drop again. The downside support line is likely to be $ 258.93. If it rises above $ 268.58 again from the support line, it would be a signal for a higher rise.